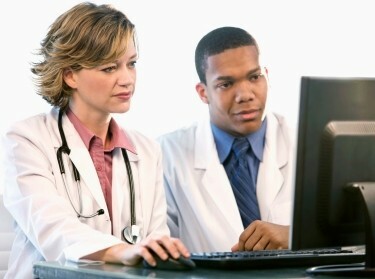 Despite wide investments nationally in electronic medical records and related tools, the cost-saving promise of health information technology has not been reached because the systems deployed are neither interconnected nor easy to use, according to a new RAND Corporation analysis. The potential of health information technology to both improve patient care and reduce spending are unlikely to be realized until health care providers reengineer their processes to focus on the benefits that can be achieved, according to the paper published in the January edition of Health Affairs. "The failure of health information technology to quickly deliver on its promise is not caused by its lack of potential, but rather because of the shortcomings in the design of the IT systems that are currently in place," said Dr. Art Kellermann, the study's senior author and the Paul O'Neill Alcoa Chair in Policy Analysis at RAND, a nonprofit research organization. "We believe the productivity gains of health information technology are being delayed by the slow pace of adoption and the failure of many providers to make the process changes needed to realize the potential," Kellermann said. A team of RAND researchers in 2005 published a widely cited analysis that the projected widespread adoption of health information technology could eventually save the United States more than $81 billion annually by improving the delivery and efficiency of health care. Seven years later, the evidence about the safety and efficiency of health information technology is mixed and annual health care spending has grown by $800 billion annually. Health information stored in one IT system must be retrievable by others, including doctors and hospitals that are a part of other health systems. This is particularly important in emergency situations. Patients should have ready access to their electronic health information, much as consumers now have access to their bank accounts. Patients should be able to view their own records and share them with health care providers of their choice. Health information technology systems must be engineered to aid the work of clinicians, not hinder it. Systems should be intuitive, so they can be used by busy health care providers without extensive training. Doctors and other health care providers should be able to easily use systems across different health care settings, much as consumers easily drive various makes and models of automobiles.